The Falborek Arabain turns heads when it prances onto a field in the video below. A popular stud horse in Poland, the Arabian is distinguished by large dark eyes, a long neck and naturally high tail, according to The Arabian Horse Association. 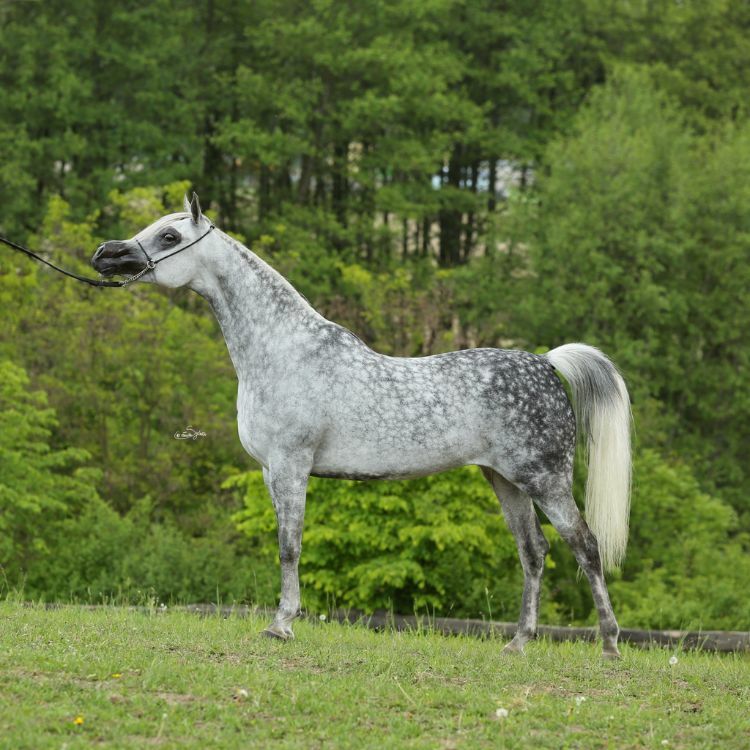 This beautiful Arabian, Wabia, recently sold at auction for 100,000 euros ($112,000). 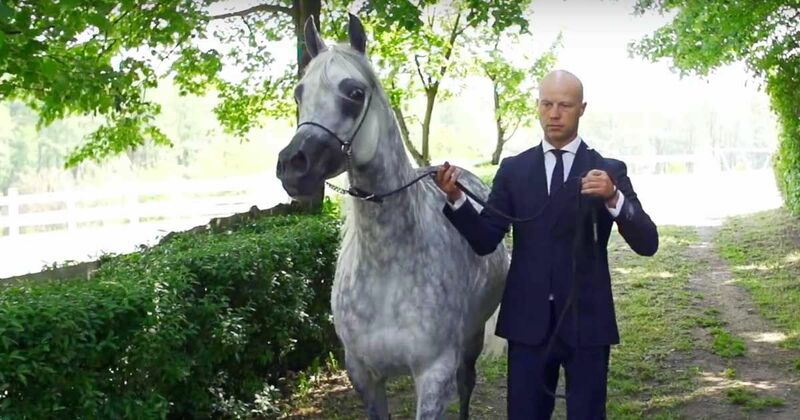 When you watch the beautiful video below, you'll see why this stunning horse garnered so much attention. The speckle-patterned horse has a winning record with five Top Five rankings for two-year-old fillies at 2012 and 2013 championships in Poland, Denmark, and the Czech Republic. Watch the horse's beautiful movements as it's body moves perfectly then share this video with your friends on Facebook.